Following a chance encounter in Notting Hill Gate with an expert in silver and consultant to the V&A, Nick Eldridge was later commissioned by him to design a new house in Putney to replace the house that his father had designed and built for the family in the 1960’s. Given the client’s brief to take inspiration from the work of his favourite architects Greene and Greene and Marcel Breuer, Nick Eldridge designed a house that reinterpreted elements of the English vernacular such as the bay window and roof dormers present in the leafy Putney neighbourhood drawing on Breuer’s Whitney Museum, now Met Breuer, that he had visited as a student in New York. From Greene and Greene he produced contemporary details for a staircase and wall panelling with the attention to detail and execution inspired by the Arts and Craft movement. The new house incorporates a new basement connected to a lower courtyard space for light and views to a simple landscape with flowering Amelanchier tree and water feature. The ground floor challenges the conventional plan form of extensions by placing a single storey living space further into the garden connected to the main body of the house by a glazed link which itself looks into the lower courtyard. 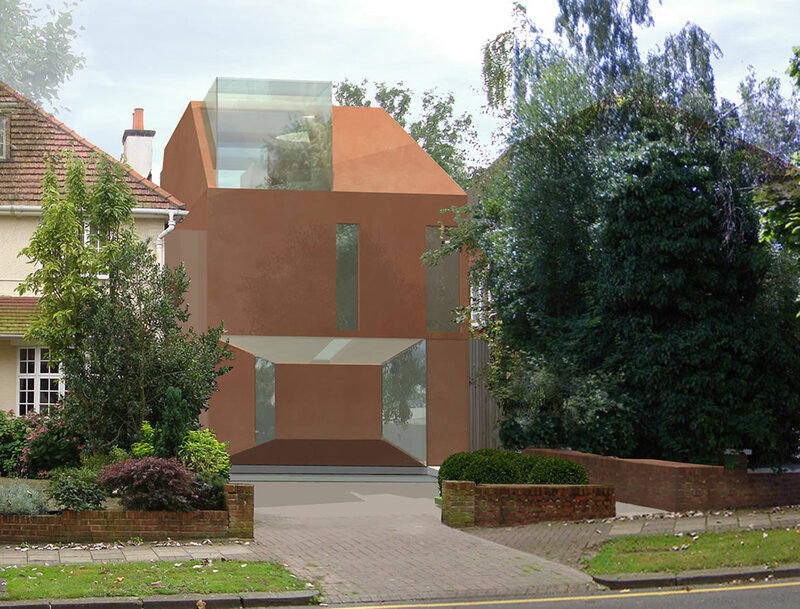 Above ground are two storeys of bedrooms, the upper floor attic storey substantially increased in area by the two structurally glazed dormers which project towards the street and towards the garden from the angled roof pitches formed from the Cor-Ten steel envelope acting as both roof finish and structure. 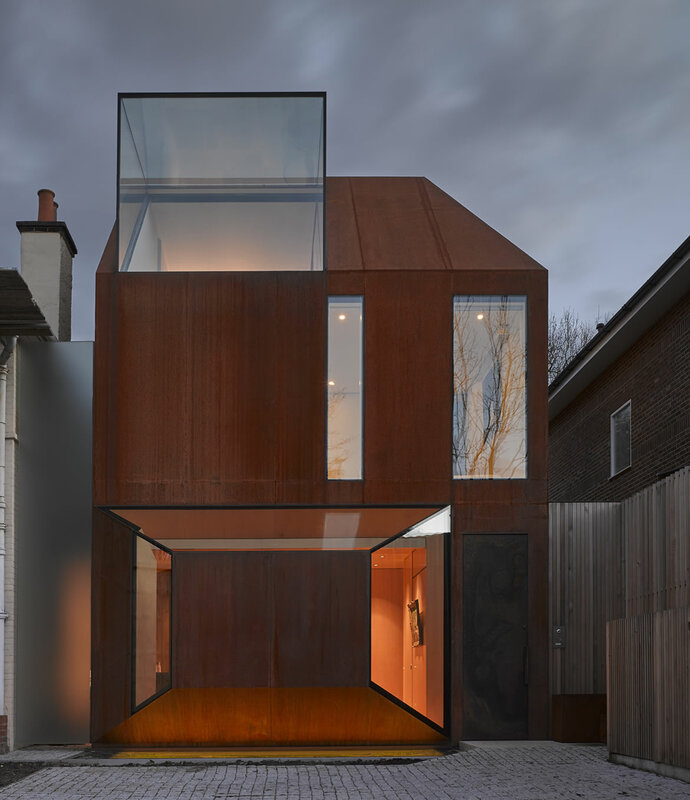 Cor-Ten steel was selected for the external envelope of the building as the weathered colour is intended to match the colour of the brickwork and tiled roofs of the neighbouring buildings.